In the mid-1990s Disney took a break from theme-park development and diversified into town-building. The result was a Florida town called Celebration. A short drive from Walt Disney World1 brings us to the community’s welcoming entrance, where the sign gives the first hint of the kind of small-town ideals that await. Celebration was intended to be a carefully-planned haven for the wholesome family values for which Disney likes to be known. In many ways a throwback to simpler times, it was designed to have a vibrant downtown core which encouraged walking rather than driving, and no mega-malls on the outskirts. While Disney controlled all aspects of construction they were careful not to make the town part of their brand. 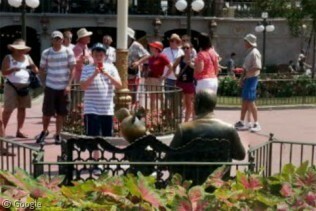 This means that you won’t see Mickey Mouse ears anywhere. However a number of residential ‘villages’ surround the downtown area featuring public buildings with somewhat whimsical designs created by prominent architects. 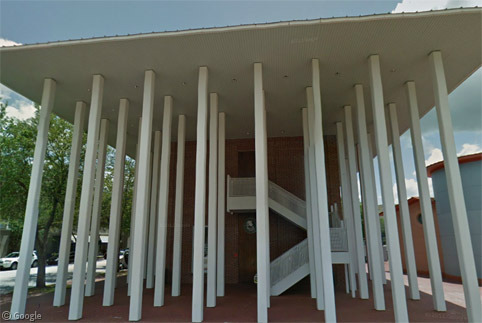 Philip Johnson’s Town Hall is perhaps the most unusual – crowded pillars being a very postmodern take on the imposing columns often used in such buildings. 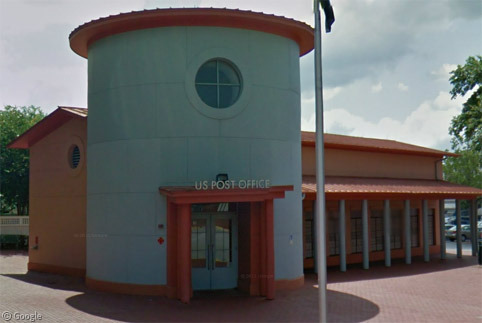 The Post Office designed by Michael Graves has a toy-like quality to it. The Bank of America building has a tower with an exterior staircase, while the Sun Trust bank has the air of a 1950s diner. 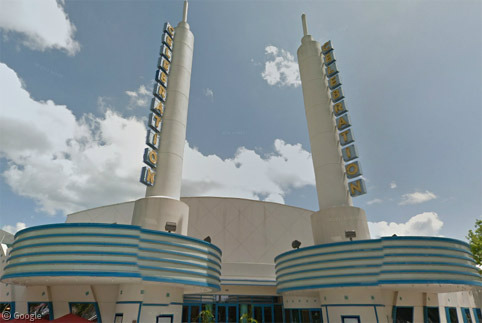 The retro look was also used for the movie theatre, which is on the waterfront downtown rather than being in an out-of-town shopping complex as is so common in modern urban development. 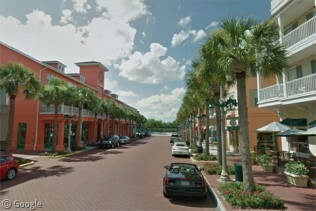 Market Street can be considered the main ‘Disney Storybook’ street attracting tourists to Celebration. It’s lined with palm trees and buildings with a Caribbean flavour, note also that the lamp-posts all feature the tree-and-bicycle motif from the town sign. During seasonal festivities the lamp-posts also double as “fake weather” machines. YouTube lets us see the crowds that gather to witness ‘autumn leaves falling‘ and ‘Christmas snow‘, neither of which would normally be seen in this tropical state. 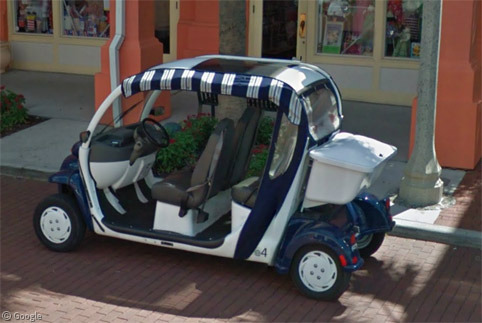 While the town is pedestrian friendly, it was hoped that anyone who needed wheeled transport might consider a ‘neighbourhood electric vehicle’ – battery-powered buggies slightly larger than golf carts. A few can be spotted around the downtown area, and there are many special parking spots for them, but in general it appears that most residents opt for cars. 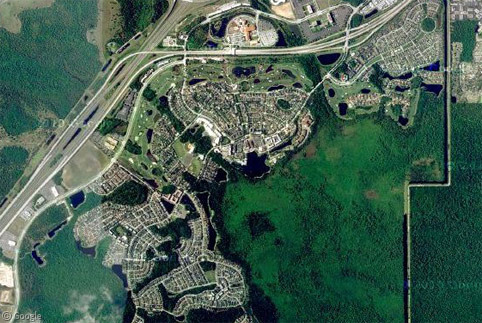 Once construction was complete, Disney followed through with its initial plan to sell the town to another property investment corporation. Today, Celebration is perceived as a very safe upper-middle-class community, but was rocked in late 2010 when the town’s first murder took place, followed a couple of days later by an unrelated police siege situation which resulted in a suicide. However, given that in general the state of Florida sees 3 murders a day, one in 15 years isn’t a bad record. 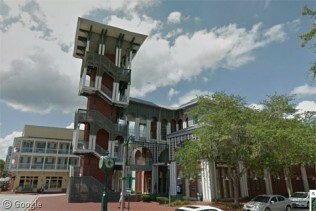 You can learn more about Celebration at Wikipedia and the town’s official website.